Governor Kim Reynolds, Lt. 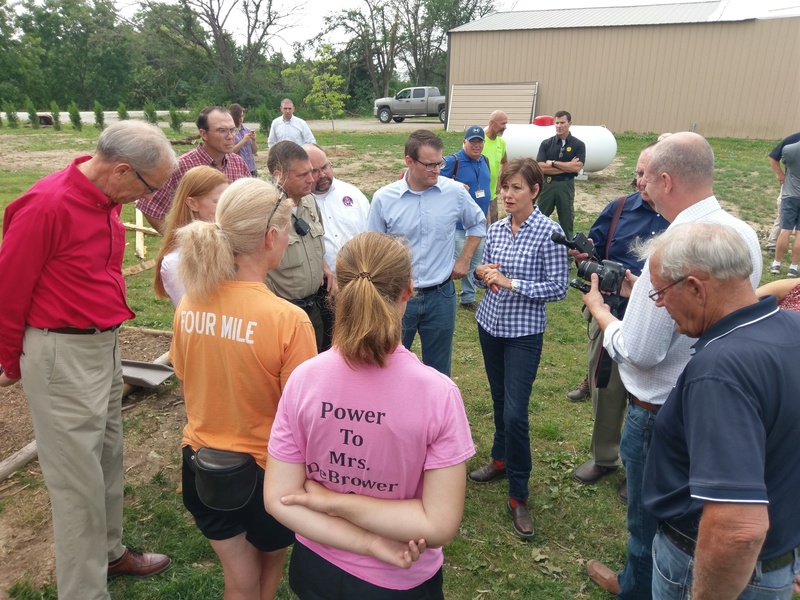 Governor Adam Gregg, and Director of Homeland Security and Emergency Management Mark Schouten toured areas affected by Wednesday’s EF1 tornado that impacted the western half of Marion County. 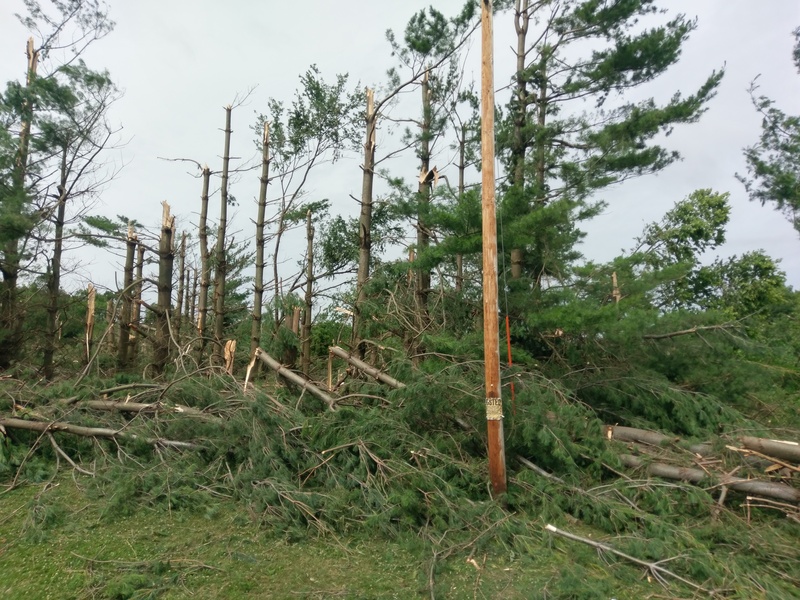 The group traveled along the path of the tornadic storm that damaged several homes and outbuildings and snapped trees and power poles from the Marion-Warren County Line southwest of Pleasantville to just southwest of Otley. Reynolds, Gregg, and Schouten met with families impacted by the storm as well and made the tour with local officials, including Marion County Emergency Management Coordinator Jeff Anderson and his staff, Sheriff Jason Sandholdt, and Marion County Attorney Ed Bull, as well as local senators Ken Rozenboom and Amy Sinclair and Representative Greg Heartsill. Reynolds was complimentary of the work of the Marion County Emergency Management Department and the Marion County Sheriff’s Office, as well as other agencies assisting with assessing the damage and those helping with cleanup. Reynolds says if there are any requests for state aid, they will be made by local officials. 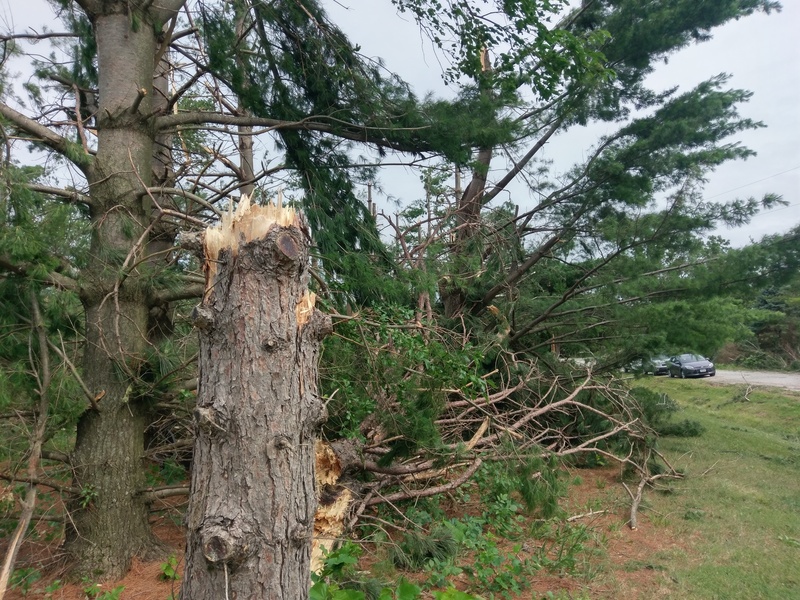 Reynolds made a final stop at the Kussatz home on 120th Avenue near Highway G40, where dozens of trees were snapped and a few nearby homes were damaged by the tornado. Blaine Kussatz says they didn’t realize the magnitude of the damage until they got out from their shelter. The National Weather Service concluded in their preliminary survey that the tornado was rated an EF1, with wind speeds up to 100 MPH.